lovely hotel, we had large room number set high on the hill side over looking the sea. nice comfy bed, shower was a little disappointing. breakfast was OK, fare amount of food to choose from. we eat in the hotel restaurant a few times and what we had was very good. 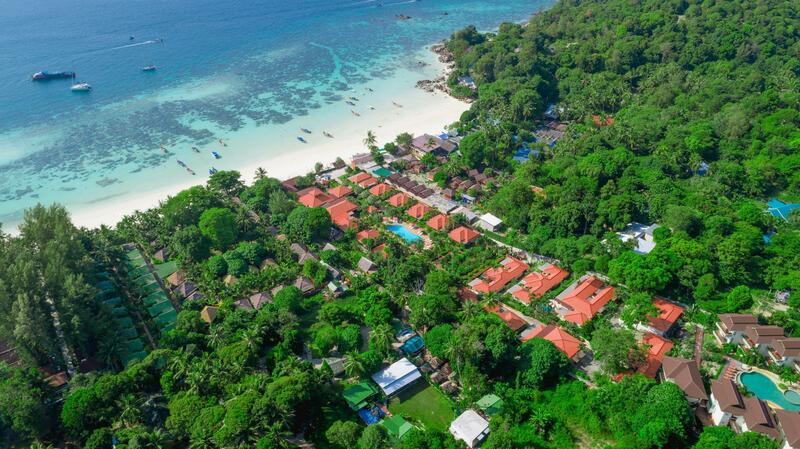 overall we are very satisfied with the hotel and if we ever come back to kho lipe , we will stay at the sita beach resort again. In overall, the hotel is quite run down & the furniture are old. Mosquitos a lot. The most awful was the breakfast, the spread was bad and same spread everyday (means same bad food everyday). We could get much better international buffet breakfast in most hotels that charge similar as Sita. Though, to be fair, the staffs are helpful & friendly. They made me wait 2 hours for the room despite hotel being almost empty in low season. I specifically booked and paid in advance supreme room by the pool but they sent me to another unit way up the hill, takes 10 minutes just to reach the room. They purposely switch off internet in hill area but kept saying internet is down due to horrible weather. What a lie, weather was awesome, blue skies for 3 days. When I pointed out they are not being honest about it, internet miraculously became available. The staff is below par. I understand hotel prefers to give jobs to local population but you simply can't pick up someone from coconut farm and expect to provide proper and satisfactory service worthy of 4 star establishment. Breakfast was good, beach right in front of the reception, not far from the walking street. Room interior is nice, clean, very comfy and pools are very good. However resort exterior needs major renovation. We was a bit worried that our room was right at the top of the hill but it was perfect, the room was big and had a very comfy bed. The second pool is better than the first and we was right next to it. Breakfast was lovely with loads to chose from even my picky girlfriend found something she liked! WiFi wasn’t the greatest and it was about a 10 minutes walk to walking street however the beach outside the hotel is lovely white sand and clear water. We rented snorkels and saw amazing fish just in the beach out the front! Definitely would stay there again! staff is nice, location is quiet, near the beach, everything great, even the room is comfy, nice, but blanket have blood drop hotel do not change it for the whole period of stay!!!!!! Sita is positioned on the far end of Pattaya Beach compared to other hotels, so there's ample space and privacy compared to being close to the entrance to the Walking Street. Overall, the hotel stay was good. At this price point, you would maybe expect a 4 or 5 star hotel in Bangkok, but being in a secluded island, this property was cleaner, more comfortable, and 'more' renovated compared to others we found on Agoda. Walking street was a 5-10 min walk. Staff were great. One comment for the hotel is that often times old beach towels were left on the beach chairs, so its appeared occupied though the previous occupant left several hours ago. Overall good stay. Wifi did not work. The only place wifi worked was near reception and even in that case, it was dial up speed level. Not good if you have important work to do. The deluxe rooms were poor. Lots of noise from neighbouring bars and also other odd noises. Overall, for the price, this hotel was a disappointing experience. Stayed 3 nights at the resort, transport provided from immigration to the resort, although is walking distance via beach. Nice breakfast and clean swimming pool. There is a shortcut way around 5 mins walking distance to the sunset beach just behind the resort. There is nothing wrong with this hotel per se, but there are nicer options in the immediate vicinity. The rooms are nice, but slightly tired. The pool is ok, but not somewhere you would want to spend too much time at (although why would you in a place a beautiful as Koh Lipe?) It is an ok place and I would stay there again if I couldn't get in to my first 5 choices. Very nice big cleanliness room with bathtab and shower. Staffs with all service mind. Clean swimming pool. Good breakfast ABF with boiled rice and TimSum. Located on calm beach. Snorkel for rent 100 per day. Around 10 mins to walking street by walk. Great hotel recommended for honeymoon trip! Very friendly and efficient staff including transfers. Too few beach chairs as most are gone by 730 AM. Great rooms but access a problem for many on second level. Ours was equivalent to climbing an 8-10 story building. The Sita Resort is in a great location! It is quiet, but also within a short walk to Sunset Beach and Walking Street. It is necessary to take a taxi to Sunrise Beach. The rooms in the back of the resort are up a large hill and many stairs. It would be very difficult to take a stroller up the stairs or hill. It was quite a workout going back to our room. We enjoyed the views as well as the food at the restaurant. 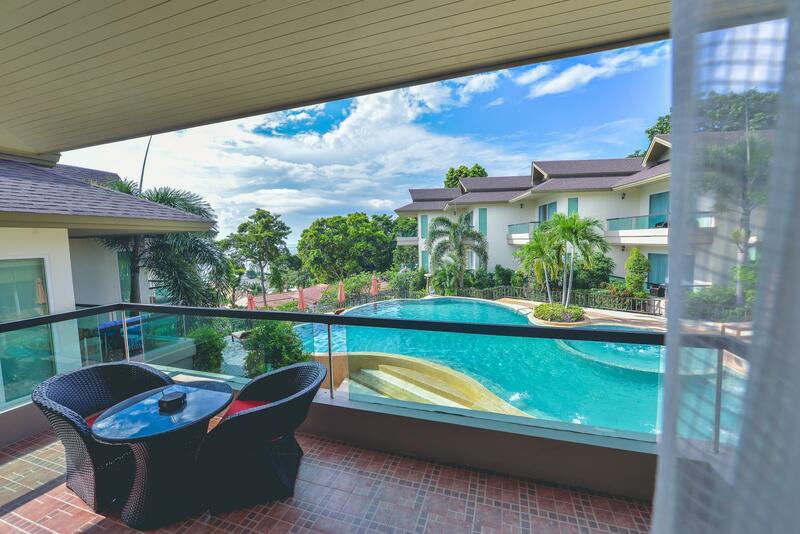 Great location on not too busy, not too quiet on Pattaya beach. Finenest white sand beach. Very polite and nice staffs. The room we stayed has strange room layout with a garden in the middle taking away some living space.